How to Delete Videos from iPod - iMobie Inc.
You may have a lot of videos on your iPod and want to delete them. 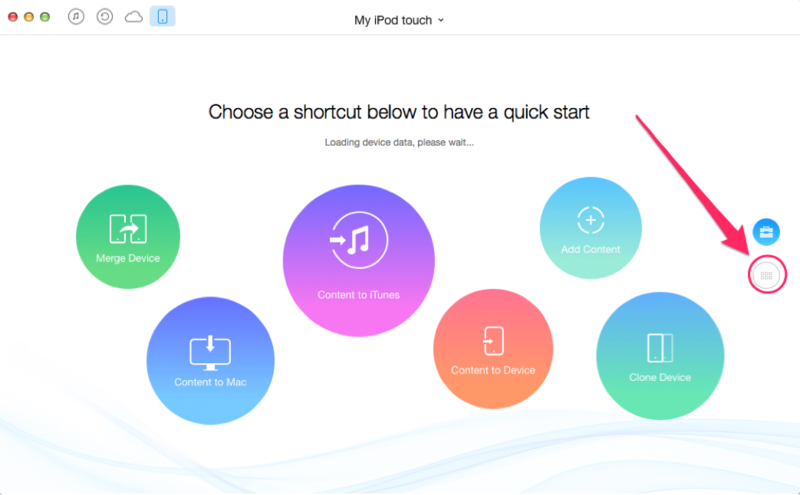 Read this guide to see how to delete videos from iPod, iPod touch with ease. Go to download and install AnyTrans to manage your iPod content after reading this guide on how to delete videos from iPod. Your iPod/iPod touch allows you to enjoy many kinds of media files wherever you go and you can shoot videos to record the memorable moment. However, due to the limited storage space of iPod, you may find that there is no more space for you to put new things in it. At this moment, you may want to delete some old movies or recoded videos from the device. Then, how can we do it? 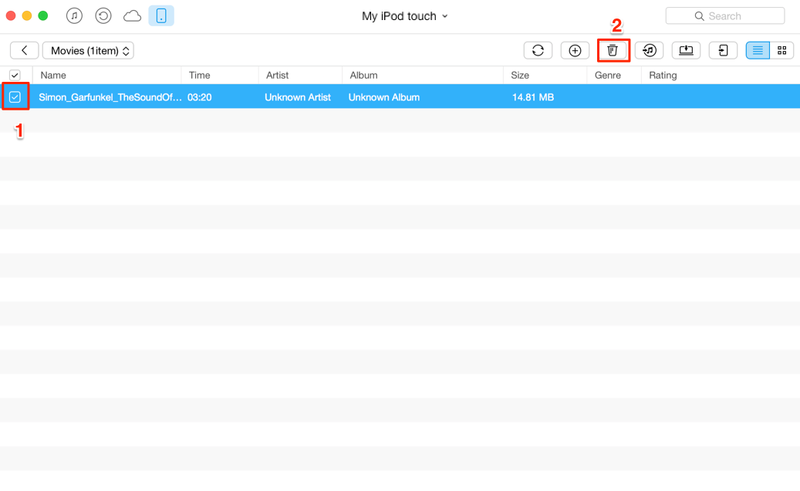 Keep reading this guide to get 2 easy and fast methods to delete videos from your iPod. 1. Open Videos app > Find and choose the videos you want to delete > Swipe to the left > Tap Delete. 2. Settings > General > Usage > Manage Storage > Videos > Find the videos you want to delete > Swipe to the left > Tap Delete. You will find that you can only delete videos one by one. It is quite troublesome if you want to delete a lot of videos. Next, we will recommend you a nice iOS content manager, which can allows you to delete lots of videos in an easy way. 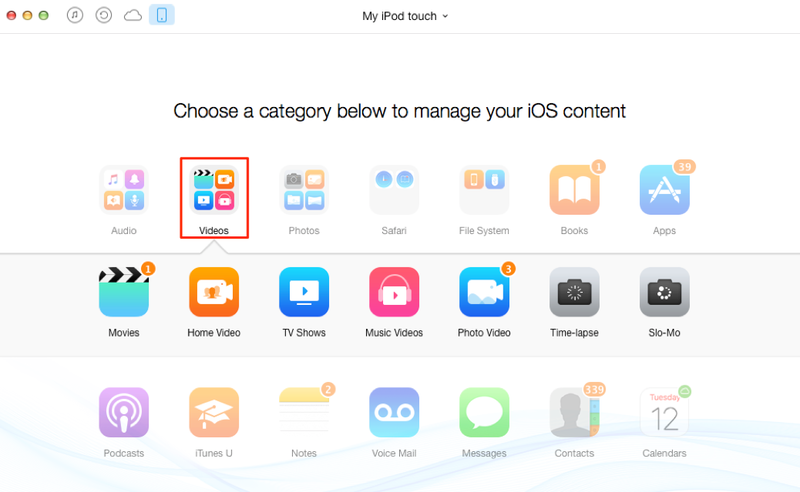 As an excellent iPhone/iPad/iPod contents manager, AnyTrans allows you to delete videos from iPod with just a few clicks. You can delete multiple videos at once. It also supports deleting many other files, such as music, photos, voice memos, podcasts, etc. Not only that, AnyTrans is expert in transferring data from iDevice to iDevice, iDevice to computer/iTunes and vice versa. Always put your data in the right place. You will find that AnyTrans meets almost all your needs about managing your data and files on your iPod. So why not download AnyTrans and have a free try, then follow us to delete videos from iPod/iPod touch with just 3 Steps. Step 1: Launch AnyTrans > Connect your iPod to computer via a USB cable > Click . Step 2: Click on Videos > Choose a type of videos that you want to delete. Step 3: Choose the videos you want to delete > Click on the Delete button. AnyTrans is a professional all-in-one iOS data manager that allows you to delete videos, photos, music, apps, contacts and more on your iDevice. Now download AnyTrans and have a try. If you still have questions on this guide please feel free to contact us via email. Don’t forget to share this tutorial with your friends if it is helpful.